Luke Schneider, CEO, Silvercar, Austin, Texas, USA. Click here for the Silvercar Directory listing where you'll find links to all interviews with Silvercar in one place. Click here for more info and links to all interviews featuring Luke Schneider. 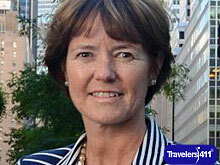 Mary Kay Vrba, Executive Director, Dutchess Tourism, Dutchess County, Hudson Valley, New York, USA. In this segment Travel Expert and Radio Show Host Stephanie Abrams welcomes Mary Kay Vrba, Executive Director for Dutchess County Tourism to the show to discuss some of the county's signature offerings. Mary Kay began working for Dutchess County Tourism over 20 years ago and was previously the parks commissioner for the county. She is originally from Nebraska and says that on her first drive along the Taconic she fell in love with the area. Stephanie says that driving through the region, regardless of season, it is always gorgeous. Mary Kay attributes the Hudson River School of artists movement to the romantic landscape of the region which she says lends itself to the arts. Getting to Dutchess is easy via either Amtrak into Poughkeepsie, New York or by car via the Taconic State Parkway. The train hugs the shores of the Hudson River and the Taconic bisects some gorgeous inland terrain, so either mode of transportation makes for a beautiful scenic journey. This year, July 4, 5, 6, 2014 will feature a hot air balloon race. Mary Kay suggests the Hudson River Rowing Club as a good spot to view the balloon lift off from. Perennial favorites in Dutchess county include the newly opened (2009) Walkway Over the Hudson River. It is 212 feet high and at 1.28 miles is the longest elevated pedestrian bridge in the world. Other major attractions in the county include the Franklyn Delano Roosevelt FDR's home, Franklyn Roosevelt Museum and Library as well as the Culinary Institute of America. If you have never been or have not been recently to the FDR Library and Museum, now is a good time to go since it just underwent major renovations including the creation of some new interactive exhibits. The CIA has 3 restaurants open to the public as well as the Apple Pie Bakery for a quick sandwich. Reservations are required for dining at the 3 restaurants. Mary Kay says that many graduates of the program end up staying in the area, opening restaurants and sourcing food locally from Hudson Valley area farms. If you are a foodie, you may also be interested in the newly opened Taste of New York store which is situated along the Taconic State Parkway and highlights locally sourced food and products. Rick Remsnyder, Tourism Director, Ulster County Tourism, Ulster County, New York, USA. Ulster County is perhaps best known for the town of Woodstock, New York, for which the famous 1969 three day music festival was named, though, the festival was actually held on the land of a farm owner in the neighboring town of Bethel in Sullivan County. Woodstock, the town, and the county as a whole is known for its musical heritage and to name a few, Bob Dillon, The Band and Jimi Hendrix have all played there. Ulster county is easy to get to from NYC via the New York State Throughway I-87 which has exits for New Paltz, Kingston and Saugerties. The drive is about 90 minutes from Manhattan. If coming from Albany it is about 1 hour South. Art, Music and Culture in addition to great natural beauty are a big draw for visitors. Music and Art Venues including the Ulster Performing Arts Center (UPAC), Bearsville Theater, and formerly the Bearsville Recording Studio operated by Albert Grossman who managed Bob Dylan, The Band and Janis Joplin to name a few. Cheryl Crow recently performed to sold out crowds at UPAC in May 2014 and Amy Helm, daughter of Levon Helm (deceased 2012) one of the founding fathers of The Band, performs in the area frequently as well. The Barn, and the Levon Helm Studios are another music venue in the area known as "The Home of the Midnight Ramble". Bellaeyre Mountain, known for its skiing resort, is host to the Bellaeyre Music Festival again this year and the Phoenicia International Festival of Voice returns as well. In 2013 the Phoenicia festival featured Rigoletto and this year (2014) the headlining performance is "The Barber of Seville" by Rossini. The festival is an outdoor venue, tickets are approximately $25 a show. If you like horses, check out HITS- on-the-Hudson horse show featuring equestrian Olympic style competition is based in Saugerties, NY, in Ulster County. Out of interest, Bruce Springsteen's daughter competed recently and the "Boss" himself was in attendance to cheer her on. Pinegrove Dude Ranch and Rocking Horse Ranch, are notable resorts in Ulster County. Despite their names, neither offers a cowboy experience, but you can ride horses there. According to Rick Pinegrove was rated the #2 resort in the USA by TripAdvisor. The Ulster County Fair returns July 30 to August 3, 2014. If you are researching or planning for a Wedding, consider Ulster for the dual benefit of a great, naturally beautiful, venue and some serious cost savings as compared with planning a NYC wedding. Rick is a big fan of the Mohonk Mountain House in New Paltz for its stunning views of the Shawangunk Mountains and Lake Minnewaska in background. If you like wine the Shawangunk Wine Trail has 14 wineries nestled in the Hudson Valley region. Click here for the Ulster County Tourism Directory listing where you'll find links to all interviews with Ulster County Tourism in one place. Click here for more info and links to all interviews featuring Rick Remsnyder. Jeffrey Oliasami, General Manager, Renaissance World Golf Village, St. Augustine, Florida, USA. Click here for the Renaissance World Golf Village Directory listing where you'll find links to all interviews with Renaissance World Golf Village in one place. Click here for more info and links to all interviews featuring Jeffrey Oliasami.